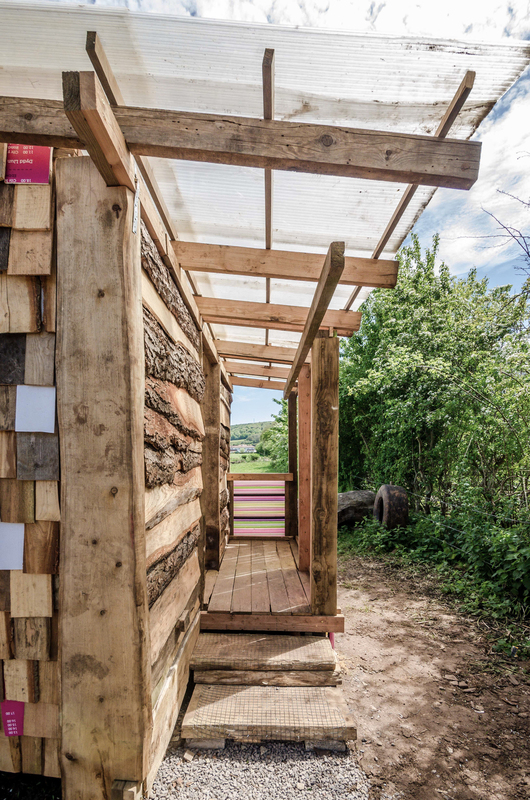 The project's site was located at Chelvey Farm, a farm from which a number of timber related businesses operate from. 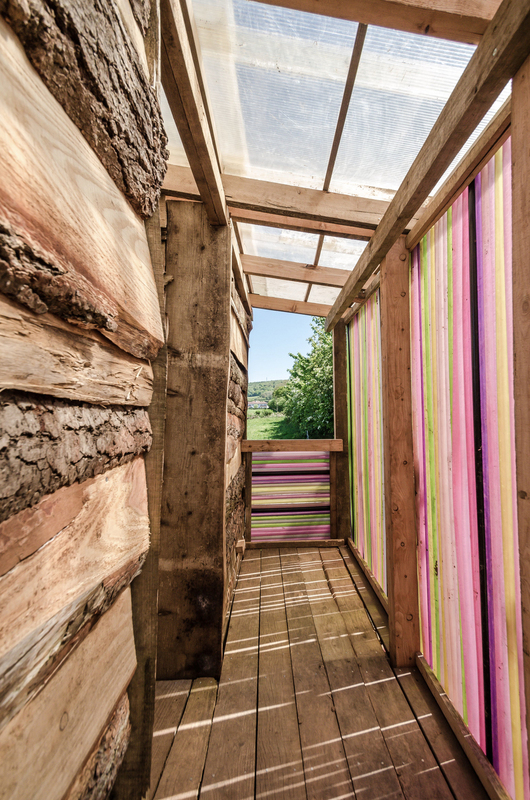 Our brief was to design and build a composting toilet for the facilities on site. The materials that were collected were from visiting recycling centres, waste disposal sites and farms to collect items that had been considered as waste. Identifying useful items depended on the quality and quantity of the material. It was enjoyable to find value in these discarded objects by highlighting the positive characteristics and usefulness of a variety of objects. The materials that we ended up using included: coloured tubes, timber that had been considered imperfect, and sheets of polycarbonate.